Pretty soon, Circle K is going to start paying me for these. I guess you should be able to tell by now that I wasn’t kidding when I said I was addicted to Polar Pops. J and I were leaving Wings Stadium after a K-Wings game when she said she was thirsty. The whole game I had been sitting there thinking I needed to go Speedway after the game to get a Speedy Freeze. She had been thinking we should go to Sonic to get drinks. For some reason, I remembered seeing a Circle K not too far out of our way on the drive home, so I threw that out there instead. 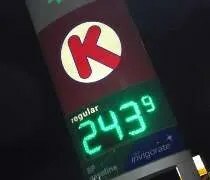 The Circle K on the corner of Portage Street and Golfview Avenue in Kalamazoo’s Milwood neighborhood is more like the Circk K’s I’m used to. It’s still a convenience store, but it’s also a BP gas station. 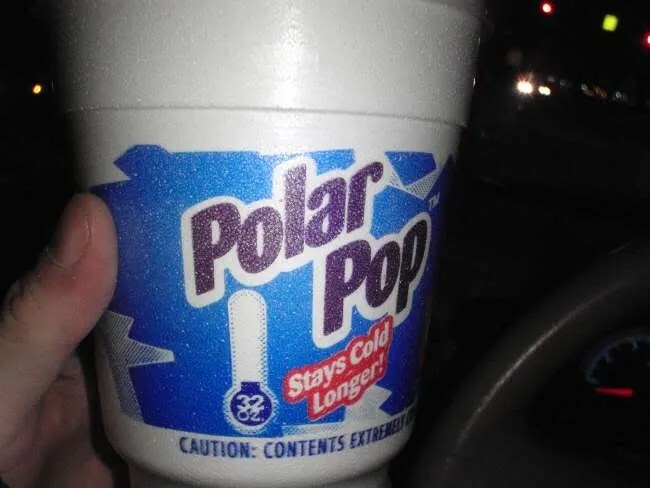 It’s not a very large store, but they have the middle of the road Polar Pop machine. It has all the different flavors, but it doesn’t have the choice of ice. I really like the ones that have cubed ice, this one doesn’t. We both got Polar Pops and headed out. Two 32 oz. pops….cost only $1.25. You can’t even get one for that price at most places. 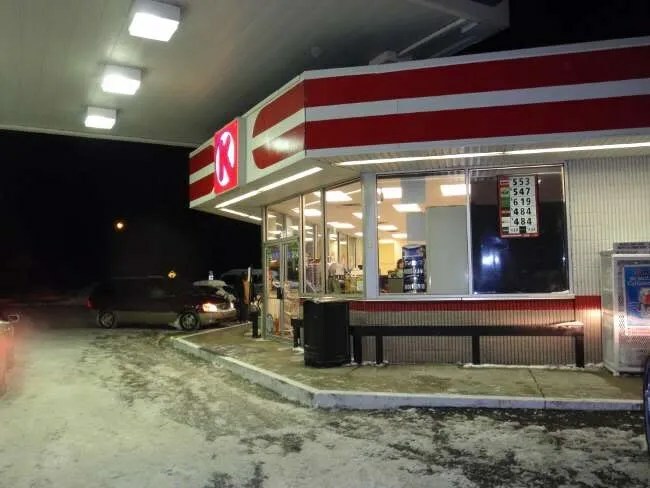 The rest of the store is typical gas station convenience store. Beer, pop, snacks, and hot dogs on rollers. Nothing special. Just Polar Pops. Milwood Circle K use be great until a black man with racial issues not wanting to call white guys up to counter started taking his anger issues towards certain customers out on other customers starting arguments bickering back and forth with innocent customers. WoW this guy needs to be fired. Who is the Manager?